The most exhilarating and refreshing poetry-volume of last year wasn't by some audacious new upstart but by a remarkable rediscovery from the 1960s whose language sounds to me more vibrant than any recent debut. 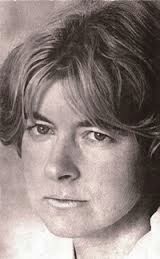 The Collected Poems of Rosemary Tonks - Bedouin of the London Evening - appeared only six months or so after the passing away of the latter-styled Mrs Lightband as reported in this post from last May. Neil Astley of Bloodaxe has done an exemplary job not only of editing and bringing to light the long-out-of-print oeuvre so rapidly but also of providing a comprehensive introduction which finally details the whole poignant narrative of Tonks' transition from feted Hampstead literateuse, traveller and bohemian to devoutly-Christian eccentric living the second half of her life in solitary seclusion in Bournemouth. These days poets are in general such a polite, worldly, often business-like bunch - always keen to market and promote themselves and further their careers through networking and social media: as in some ways we all have to be now, the market for any kind of readership or critical attention being so marginalised and competitive. 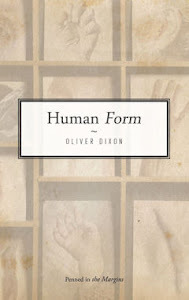 It no longer seems enough just to be able to write good poems and hope that a receptive audience will discover and appreciate them. Since the Movement's rubbishing of the neo-romantic model of the poet (typified for them in the bibulous demise of Dylan Thomas), it's remained largely unfashionable in mainstream quarters to re-invoke the older and indeed ancient notion that many poets (like writers and artists in general) are not sensible, rounded types with a canny sense of how they fit into the publishing market and moreover that this unworldliness (and in some cases, lack of balance) is part and parcel of their immersion in poetry as a deeply-engaged personal quest or wrestle with forces beyond him or herself - what used to be called "a commitment to the Muse", a perhaps quasi-religious undertaking. "The lyric poet", as Nietzsche describes it in The Birth of Tragedy, "himself becomes his images, his images are objectified versions of himself...only his 'I' is not that of the actual waking man, but of the 'I' dwelling, truly and eternally, in the ground of being." The apparent breakdown and attendant rejection of literature and society Rosemary Tonks went through may seem unfortunate given the imaginative flair and linguistic dexterity evinced in her published work. Seen as such, the tragedy of her abandoning poetry in the late 70s is that - like Keats or Keith Douglas - she left a tiny amount of poems of tantalising brilliance. Astley has not uncovered any other unpublished or fugitive texts, meaning that the Collected Poems is just the two volumes brought out in the 60s, Notes on Cafes and Bedrooms and Iliad of Broken Sentences. One could go further and suggest that her debut, although distinctive, was somewhat indebted to other models (chiefly 40s poets like George Barker and WS Graham) and it was mainly only in her second collection that Tonks began to establish her own form and voice. And I wolf, gulp, bolt it down day by day"
" Ever restless in spirit, she fought daily battles with her inner demons, plagued by self-doubt and debilitating depression...birds were her soundscape, and birds were associated with her mother, whom she called 'Birdie'...she would base decisions on what to do, whom to trust, whether to go out , how to deal with a problem, on how these bird sounds made her feel". In other words, there seems a continuity in Tonks' psychological perception of reality between this kind of augurising, animistic "magical thinking" and the often hallucinatory urban vistas and flickering cognitive metamorphoses of her poems. Again in some ways like Rimbaud - or indeed Emily Dickinson, with her complex scepticism towards even showing her poems to others - it seems Tonks' intensive spiritual project ultimately lead her into areas where the idea of communicating to the outside world through poetry and publication no longer seemed relevant, so private and symbolic had it become. But equally it's the radical individuality and uncompromising integrity of such a vision which informs the bravery and vigour of her poems, and makes it such an important event that we now have them to read and study together for the first time.